Fr. Patrick O’Neil, O.P. (retired), is a Catholic priest of the Western Dominican Province. He was Director of Vallombrosa Retreat and Conference Center for 5 years. Prior to being ordained in 1995, he worked for nine years as a criminal defense attorney & then for four years as a Superior Court judge in another state. 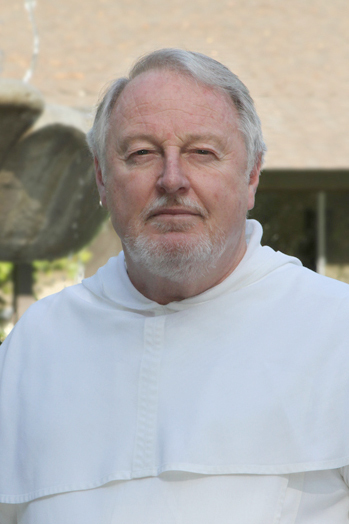 Trained in medical ethics, spiritual direction, and giving retreats, Fr. Patrick has worked most closely with those who are dealing with life-threatening illness. He has served as Coordinator of Spiritual Care for Nathan Adelson Hospice and has been affiliated with the Center for Compassionate Care, both in Las Vegas. In 2003 he founded Face to Face, offering support for critically-ill patients & their caregivers and also providing educational programs for physicians, nurses & other medical professionals who work day-in & day-out in this field of healthcare. Said then to be the only Catholic priest in the nation who works full-time in palliative care and hospice, Fr. Patrick has had the privilege of “walking with” a few thousand seriously-ill & dying patients from all walks of life—regardless of their faith background. His assignments have included both parish & Newman Center (university) ministries. He also served as Socius/Vicar Provincial for his Dominican Province of priests & brothers. You have such​ an Irish name. How Irish are you? My father’s parents emigrated to the U.S. from Ireland. My parents met in Montana, and then moved to Phoenix because my mother’s father had asthma. Lots of people moved to Arizona during the ‘40s for health reasons. My mother was six months pregnant in the seventh year of marriage, when my father died suddenly and unexpectedly. Unfortunately, I never knew any of my paternal relatives. A family from Mexico was living in the other half of our duplex home when I was born. I’m convinced I was weaned on Mexican food, because I crave it to this day. The spicier, the better! Cilantro and/or fresh limes can turn any food into “comfort” food. Growing up in Phoenix, I didn’t grow up anything in particular. Only time I was in Ireland was for a few weeks in 1986. I’m proud of my Irish background, but I know my name confuses some people. In the early 1970’s, you were completing law school when you first met the Dominicans at the ASU Newman Center. What attracted you to them? That’s easy. It was the Dominican Ideal: the active/contemplative vision of religious life, which St. Dominic, the most modern man of his time, invented. I felt that anyone—whether they’re a doctor, judge, realtor, construction worker, secretary, whatever—should have both active and contemplative sides to their life. I mean, what does a mother give her child if not her good example and the benefit of her wisdom and reflections on life? So, I felt that any religious person struggling with that challenge of being both active and contemplative would always have something relevant to share with others. You entered the Dominicans in 1972, and you left in 1974. Yet, today you’re a Dominican. Help us to understand all that. I’ll try. After completing the novitiate and first year of studies in Oakland, I left the Order. I just didn’t feel entirely comfortable with it. During my second year there, my outside ministry had been to help out at the UC Berkeley Newman Center (staffed by the Paulist Fathers). It was only a few weeks after leaving, that I realized I was still attracted to religious life. So, I made a phone call & was invited to enter the Paulists that same summer. I entered and completed their novitiate, which was located on a lake in a forest in New Jersey with deer running free, very idyllic. I then studied for two years at The Catholic University of America in Washington, DC, completing course requirements for a Masters of Theology degree. But, I left! After five years of religious life, all I could say was that I was attracted to it, and I gave it a good try, but religious life just didn’t work out for me. (There are lots of men & women in that position.) I was determined to go on with my life and never think of a religious vocation again. I was already admitted to the practice of law in Arizona and in California. So, I applied for several jobs across the nation. Somewhat to my surprise, I ended up back in Phoenix and taking the only criminal law position I applied for. To keep it short, I was in the courtroom virtually daily for 13 years. Both as an attorney & as a judge, I had front-page cases; some received international attention. I had an active social & successful professional life. I was happy. Some friends even told me I was the happiest person they knew. I had been going to Mass during these years, but I decided to get a little more serious about my spirituality during the season of Lent, 1989. Reading, writing, attending spiritual talks, sitting in silence. To my complete surprise, very soon I began to realize what I was being called to do. But, being in my early forties, I was afraid to tell anyone, including my spiritual director at the time—afraid that they would think that I was really messed up. Well, I did get up the courage eventually and then began a long period of discernment. The other two times I was in religious life, I had no idea about true discernment. I just thought: if you’re happy, you stay; unhappy, you leave. This time I spent an entire month with my spiritual director [although my goal was simply to put this crazy idea out of my mind once & for all and return to my career and begin a family]. It took still more months for me to “discern” that I was once again being called to be a Dominican—my original calling. An ol’ Novice Master told me, “Don’t let the Good get in the way of the Better.” I had a good life, indeed, but for me (I discerned) there was Something better. I learned a lot about spiritual direction & discernment during this time (and since). Now, I’ve had the privilege of “directing” others contemplating a vocation. It really can be discerned! I once again entered the Dominicans; completed a novitiate, the graduate-level studies, and a residency year. I was received back more graciously than I deserved, and (since I had previously completed so many of the requisite studies) I was ordained three years earlier than my classmates. In essence, I ran from the vocation for 13 years, but I consider those “secular” years as an essential part of my religious “formation.” In my ministry, I rely upon those experiences constantly. They’re part of who I am. So, you completed three (!) novitiates? You can find a handful of people who did two, but, yes, I did three years & three days. It may be my only claim to fame in the history of Catholicism, but it made me the man I am today. Who or what have been your spiritual influences? I try to keep it simple: the four Gospels and the Book of Psalms. It’s all in there. It’s really all you need. As for individuals I repeatedly turn to, I’d say: Thomas Merton, Macrina Wiederkehr (a cloistered nun in Arkansas, who not many will know), Sebastian Moore (even fewer will recognize his name, but he’s exceptionally important), the poet Rainer Maria Rilke, Leo Rock (a Jesuit, now deceased), and a few spiritual directors (whom I’m sure would prefer to remain nameless, for obvious reasons). When we pray, we all have various images of God; sometimes images vary. Will you share your principle image? I do have one principle image in my relationship with God. All anyone has to do is listen to my homilies, and it will eventually become very clear. We know that you really liked your ministry with the Dying. Can you share some of that with us? I believe Dying has a lot to teach us; it would be a shame to wait until we are actually dying to learn what that is. We Americans live in a death-denying culture, but I believe that the last season of a person’s life can be transforming. So, admittedly, my “ego statement” was: “If a doctor tells you that you have six months or less to live, and, if you want to make this last chapter of your life ‘quality time,’ well then, I want to be the one you call.” When I first meet with a terminally-ill person who has contacted me, I often say: “I think you can be as close to God during this time as you want to be; now, how close do you want to get?” I have been trained as a “spiritual director” and I used that model in this ministry. It’s just that all my “clients” were terminally-ill. Barring a tragic car accident or abrupt cardiac event or the like, 90% of us will have time to reflect before dying. It can be an exciting time of life. Everyone’s experiences with death are different, I know, so that last statement can sound “flip” to some. I’m talking about the 90% who have “time, sweet time,” as Tim McGraw sang in Live Like You Were Dying. I really do have many, many ideas of how this time can be transformational and filled with love. I also started seven different groups of doctors, nurses, social workers. Groups of 8-12 each met every two weeks to look at their own spirituality—to nurture that spiritual core that would enable them to be with the Dying day in, day out. The first such group had been meeting for over 3 years before I was transferred to a new assignment in another state. Many hospices tend to think that they are very spiritual. My experiences told me otherwise. So, in essence, I became a consultant to hospices (in several states) to suggest ways they could better meet their patients’ needs. I had a kitten when I was very young, along with a collie named “Skippy.” The kitten was named “Sandy,” until a few months later when my mother & stepfather told me we would now call the cat “Sam.” Considering my age, I thought they did a fine job explaining the reason for the name change. And, incidentally, the two pets got along terrifically. When in grade school, I spent summers with relatives out on farms in Missouri. Riding a horse, learning to milk a cow, capturing lightning bugs in a bottle, frog & squirrel hunting with a b-b gun. The usual. But the first few years, there was no indoor plumbing, if you know what I mean. An incident where you looked extremely foolish? Obviously, too many to count! But, I distinctly remember: the year was 1996; I told everyone I knew that Tiger Woods was making a very serious mistake; that he should stay in college and that someday a degree from Stanford was going to be very helpful to him.